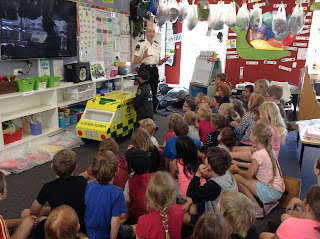 Today Kathryn from St John came in to talk to us about what to do in an emergency. We practiced dialing 111, made slings and bandages and talked about what would happen if an ambulance came. 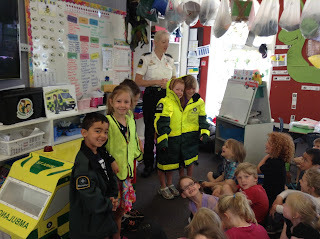 We even tried on some uniforms!